206 Morningside Cir #206, Mountain Brook, AL.| MLS# 835573 | Richard Jacks UABLIVING.com 205-910-2297 | Birmingham AL Real Estate | Contact us to request more information about our Homes for Sale in the Birmingham AL area. LOVELY ONE LEVEL CORNER UNIT CONDO WITH EASY ACCESS BY ELEVATOR OR IF YOU ARE FEELING ENERGETIC, TAKE THE ONE FLIGHT OF STAIRS RIGHT TO YOUR FRONT DOOR! HARDWOOD FLOORS IN LIVING AREAS, 9FT CEILINGS, GRANITE COUNTERS AND STAINLESS APPLIANCES IN THE KITCHEN. WET BAR AND GAS LOG FIREPLACE IN LIVING ROOM THAT OPENS ONTO THE PRIVATE SCREENED PORCH. YOU CAN WALK TO CRESTLINE VILLAGE NOW THANKS TO NEW SIDEWALKS ACROSS MONTCLAIR! EVERY CLOSET HAS CALIFORNIA CLOSET SYSTEMS FOR GREAT STORAGE IN UNIT PLUS SEPARATE STORAGE AVAILABLE DOWNSTAIRS. NEW CARPET IN BEDROOMS AND NEW CEILING FANS ALSO. 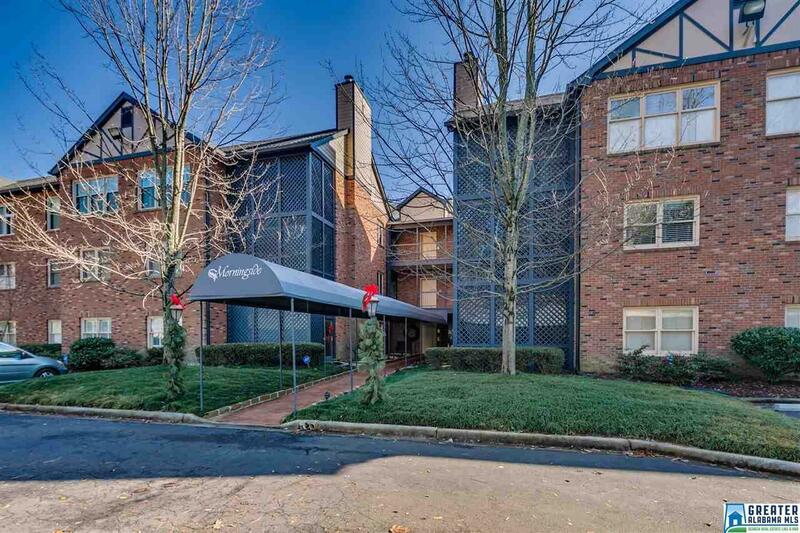 DON&apos;T MISS OUT ON THIS GREAT MTN BROOK CONDO! Driving Directions: Corner Of Montclair And Morningside Drive. Enter Parking Lot From Morningside Drive. Unit Located In Building Furthest From Morningside Dr. Corner Unit.